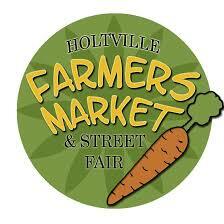 A tiny city in Imperial County with a population of nearly 6000 residents, Holtville. This city is east of El Centro, and has a pure desert climate with bright sunshine throughout the year. This city was settled in 1880 by Swiss-German settlers and later on in 1903 was named as Holton, which was then changed to Holtville. Since this town is a tiny place with less number of residents, it is a family oriented and cultural bonded place to live in. The police force used to be the city’s own, but now it has been merged under Imperial County’s Sheriff Department. This city has its own newspaper that is weekly called Holtville Tribune, and daily newspaper Imperial Valley press is circulated here as well like other cities in county from El Centro. Annual and cultural events are celebrated here as well, and the main event is Carrot Festival. This is celebrated for a 10 day period, featuring a parade, a carnival and lots of other activities for families’ resident or tourists. This tiny city is a home for people who love close relationship with their friends and love to be surrounded all time with familiar faces.